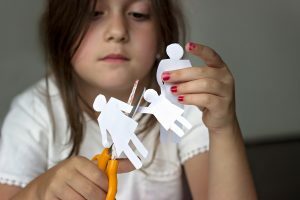 How can I achieve a ‘good’ divorce for the sake of the children? This week is Resolution’s Good Divorce Week which focuses on how separating or divorcing parents can limit the impact of conflict on their children. The awareness-raising campaign promotes a constructive, non-confrontational resolution to family issues that puts children’s best interests first – an ethos which we champion at Jones Myers. The biggest concerns facing most mothers and fathers centre on their children’s welfare – where they will live and how they will continue to have a meaningful relationship with both parents. In our extensive experience a ‘good’ divorce is attainable if both parents adopt and sustain a spirit of cooperation and collaboration. The needs and sensitivities of children should be a priority at all times. Avoid arguing or criticising each other in front of them and reassure them the break up is not their fault. Also, all too often parents discuss and make arrangements without including children. Even young children have views which need to be listened to and acknowledged as being a special part of the arrangements. Communicate openly, honestly and frequently. Work out a parenting plan which improves the chances of resolving problems together, reducing conflict and promoting trust. Listening to each other can enhance cooperation, solutions and empathy. Venting frustrations through point scoring can severely exacerbate an already difficult situation. Seek out non-confrontational and less stressful routes such as physical exercise and other hobbies to alleviate tensions. Choose a family lawyer who is a member of Resolution. Its members include lawyers like us who look to avoid an unnecessarily aggressive approach when dealing with divorce and family matters. Our dedicated Children Department is made up of some of the most experienced professionals balancing the needs of children and their parents in wide-ranging issues. In the knowledge that parents know their children best, we carefully consider the effects of their break-up on them, and, together, devise the most suitable living arrangements. Agreements reached in this way are more likely to work in the long-term and be respected by the wider family.